Are You Getting the Most Out of Your Higher Education Search Campaigns? Imagine witnessing your 'perfect fit' prospect come across your admissions ad, and just went past as if it didnt matter. After all that effort put into campaign planning, setup and execution, we know how that feels. We’re talking Google Search Ads, of course. A week down campaign kick-off, it's time to question yourself: Bro, how can we afford not to create that first impression? For sure, you're not getting the most out of our higher education search campaign. If you've incorporated industry standard best practices into your ads, chances of missing out a visit are slim. Being confident that your keyword structure is already built to target specific course seekers, and your campaign set to target specific demographics only, Adwords pros at our dojo have put together 10 points to ensure your ads click. Put through a question or catch phrase that would incite the viewer to read more of the body. Connect by mentioning something that links with their search query. Dynamic Ads help a great deal here, as it aims to match exactly what they searched on Google for what you showcased in the Headline. Benefits include saving time, not requiring to frequently update ads, show relevancy, control campaign elements and ease of setup. AdWords extensions is your opportunity to add more information and depth into a regular ad that comprises of a basic headline, URL, and ad copy. Taking over more space for FREE is a sure win to help your ad to stand out and get clicked. This in turn is an opportunity to lower your cost per click (CPC) and improve conversion rates. Sitelinks - Add links to specific pages from your university website. You can also limit viewing to devices, dates, day of the week and time. Callouts - Add snippets of non-clickable text containing additional information about the university. You can use these to mention USP's, accreditations and punch lines. Structured Snippets - Highlight specific aspects of your university and courses. These ad extensions provide context on the nature and variety of your degree programs and facilities before visitors click through to your site. Message - Allow your prospects to contact the university by SMS in response to the ad. Location - Include your address, phone number, and other information (e.g. business hours and ratings) about a specific campus. App - If your university has got an app that caters to assist prospects, make sure this extension is incorporated. 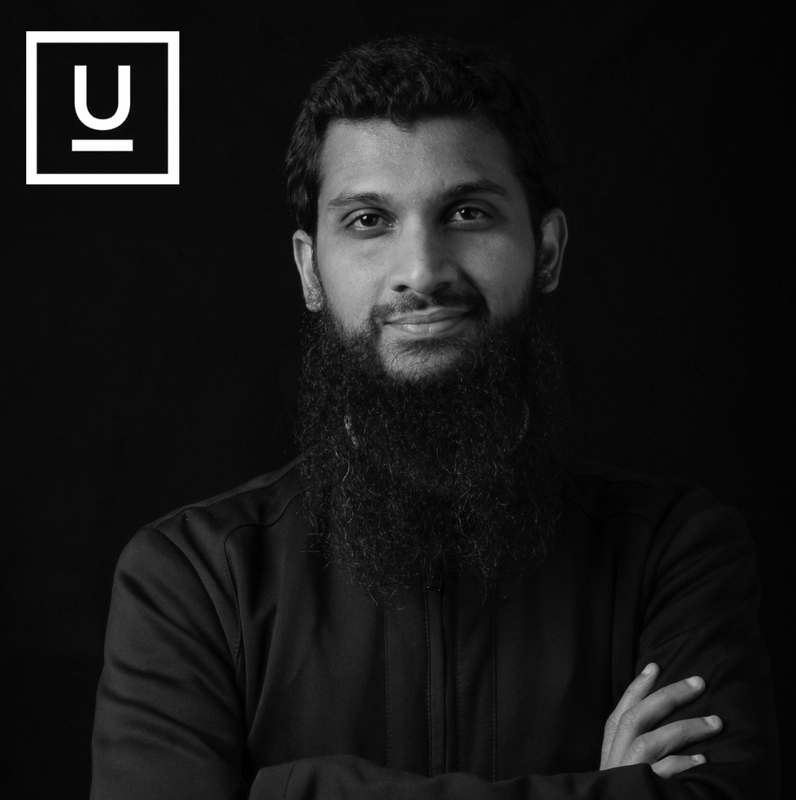 The display URL does not have to actually be a page on your website; however, the root domain of the display URL and the destination URL (where the user actually goes) must be the same. Although it is not required to have www included within the Display URL, it does indicate the user that they are about to visit a website. This can prove beneficial in their spontaneous decision making process. Yes, ne sloppy grammatical misstep can ruin the entire user journey to your competitors playground. Apart being ensuring that Adwords Editorial Guidelines are followed, ensure a professional copywriter takes care of proof-reading your ad copy. 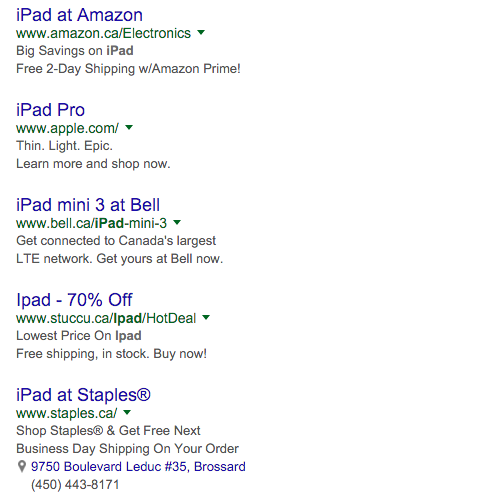 Despite this, Google allow to stand out (as an ad should) by allowing all words begin with a capital letter. This would still remain within the limits of caps over usage. It's simple, target foreign language speakers in their language, especially if your keyword researches suggests so. 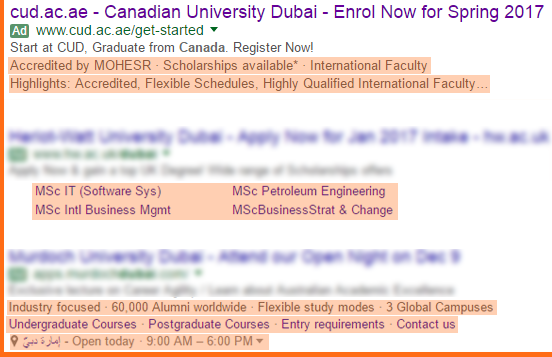 Despite Arabs in the UAE might be well versed with Arabic, if your university offers courses in this tongue, you do need Arabic Ad Copies to compliment Arabic keywords and Landing Page to create the ultimate experience. If your offer is especially with its last few days, change the ad copy to indicate the urgency. But wait, hold up! Haven't you heard of Google's Countdown timers? Countdown timers can go a long way towards generating enough Fear Of Missing Out to get people to click on your ads. And, as it turns out, adding a countdown timer is easier than ordering a meal from McDonalds. Once you’ve done that, you’ll see this pop-up, where you can choose your start and end date, as you see in the image below. Thats not all, find out more such Ad Customizers from Google themselves. You're definitely missing out something big. It's pretty obvious that the last two stand out, so make those scholarship percentages and trademarks coming. That CTA can be the difference between your ad getting clicked or your neighbor at Dubai Knowledge Village move up the rankings. Make sure you’re helping those who see your ad to secure that admisssion they badly need when you’ve enticed them to click on your ad. You’ll get more clicks while they're relieved for the next few years of their academic life. #10: Stalk your competition and out-do their Ad copy. Even if you've got the best scholarship program in town, it wont do much for competitive keywords if the opposition has got enough juice to kick through your ad copy. This must be an essential part of your campaign's pre-launch research phase. Remember: There's no equality when it comes to Google page 1 rankings. There's always some out there fighting for that first spot. So are you getting the most out of your higher education search campaigns? Google AdWords can be a fantastic way to bring in relevant prospects. But let's not get tricked into thinking it’s as simple as throwing up a couple of ads and watching the leads pour in. There are many factors to take into consideration. But with the right know-how, skill-sets and experience, you can achieve incredible ROI through the platform. Before you get started into fine-tuning your PPC ads, take a moment to recheck your campaign objectives. Ask an expert: What if Adwords is not the right fit for you? 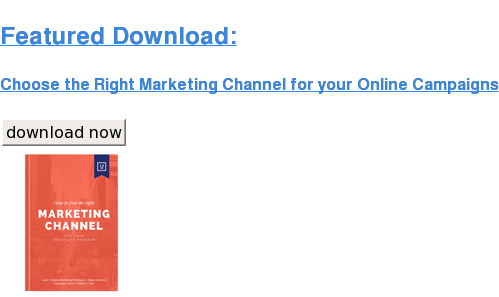 If you're currently planning the year ahead, ensure that the right marketing channel is pursued to avoid a budget burn-out. Our FREE mini-guide could help break things down for easy channel selection.